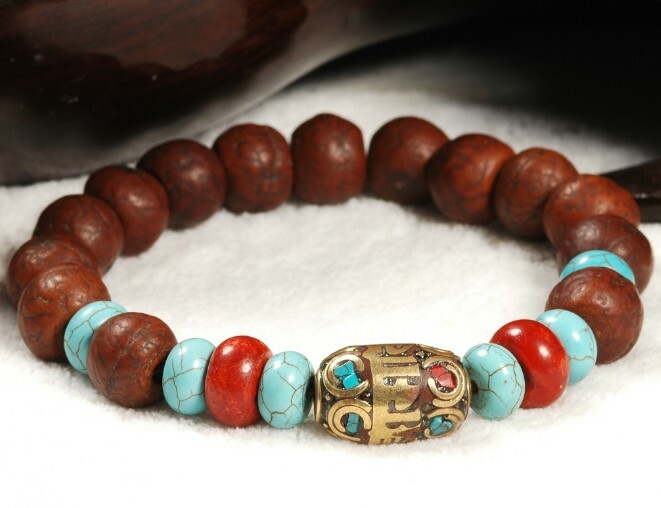 The Tibetan Buddhist Blessed 15MM Tibetan Bodhi OM Mantra Beads Bracelet was handmade by the Tibetan Craftsmen from bodhi beads and turquoise, coral. 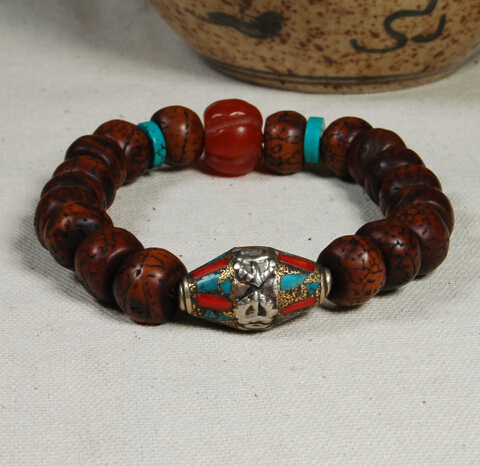 bodhi beads size: about 15MM. The bracelet is good for wrist size around 7.5". If you have bigger or smaller wrist size, we can make the size just for you. Please tell us your wrist size.